Our most recent book titled, The Collector's Guide to the Black Tourmaline of Pierrepont, New York has just been released by Schiffer Publishing (2016). It needs to be ordered from book carriers such as Amazon or Barnes and Noble. We are not selling this book. It is printed in full format, soft bound for $24.99. 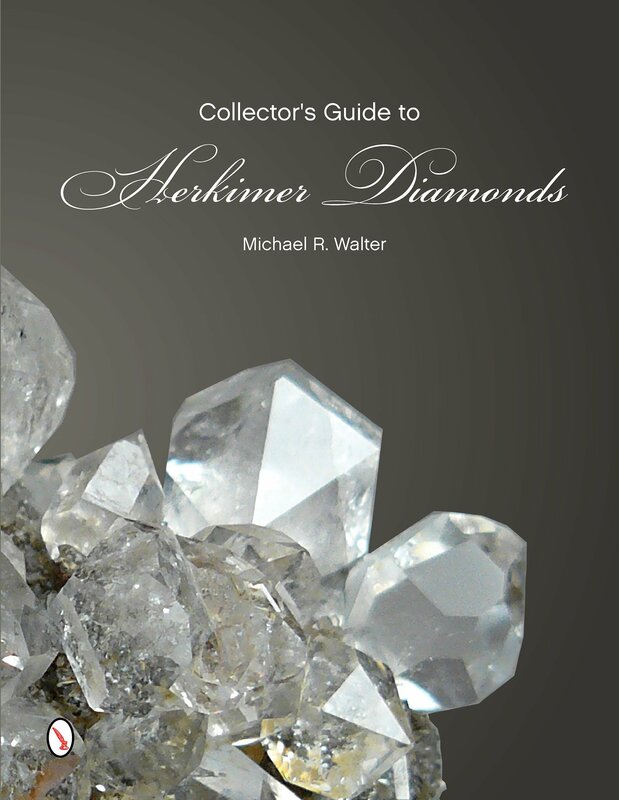 One of our more recent book titled, The Collector's Guide to Herkimer Diamonds has just been released by Schiffer Publishing (2014). It needs to be ordered from book carriers such as Amazon or Barnes and Noble. We are not selling this book. It is printed in full format, soft bound for $19.95. Mineralogical Record Review... the review is in the vol. 46, no. 46, Nov-Dec. 2015 issue. Our book titled, Field Collecting Minerals in the Empire State: Stories of Modern Day North Country Miners made it in from the printers (2010). It is a hard bound, 11 x 8 ½ inch, 212 page collection of stories shared by myself and other important miners from over the last forty years. It focuses on the field collecting of the top mineral specimens from northern New York State and has 185 color images including some of the best crystalline specimens in both museums and private collections. The contributors include the well known such, as Dr. Steven Chamberlain and Dr. George and Susan Robinson, as well as more obscure miners who have contributed important finds of New York State minerals. Short biographies on each contributor are included at the end of the 12 chapters comprising this text. These are the true stories of mineral collecting as told by the miners with no holes barred. They are sure to entertain anyone who has an interest in mineral collecting. Photographic work from several contributors including Jeff Scovil will give the reader a first hand look into private collections and museum store rooms to view some of the most aesthetic New York State minerals specimens in existence. Many of these specimens have never been seen by the public until now. Copies are available for $60 (U.S. funds) plus $5 shipping (domestic) and handling using the e-mail or PayPal links below. Be sure to get a copy for yourself or as a gift for that mineral enthusiast you know. Also, be sure your mineral club gets a copy for their library. You’ll be glad you did.